How much does food and clothing cost in the USA? In every US state prices may vary. We compiled average indicators throughout the country. Fruit: apples, pears, mandarins, blueberries, bananas, apricots, lemon, coconut, pineapple, raspberries, cherries, watermelon, melon. Vegetables: cauliflower, chanterelles, chilli, pumpkin, beet, radish, eggplant, cherry tomatoes, carrot, red onion, garlic, bulgarian pepper, broccoli, tomatoes, onion, cucumbers. Meat and fish: chicken breasts, chicken thighs, beef steak, whole chicken, pork sausages, shrimp, fish fillet. 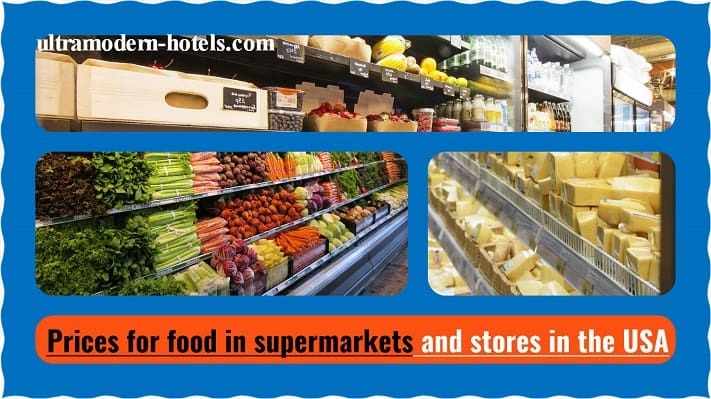 Drinks and other products: spaghetti, milk, rice, tomato paste, peanut butter, coconut milk, sunflower seeds, cheese, cottage cheese, beer, water, eggs, bread. 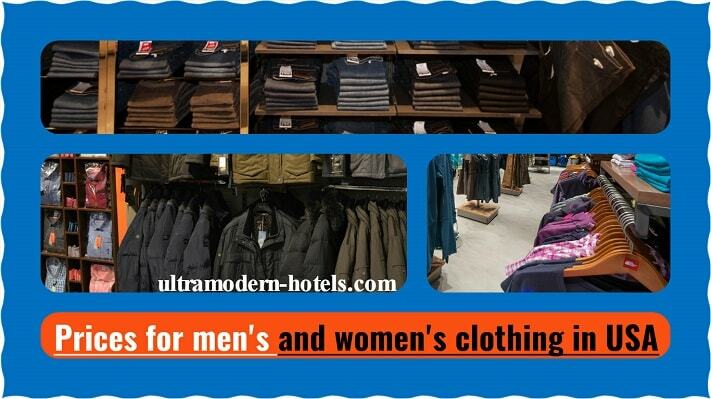 Women’s and men’s clothes: jeans, jackets, belts, trousers, T-shirts, dresses, shoes, hats, down jackets, etc. Prices in the USA for meat and fish.